A young gymnast who was left paralysed following a devastating accident four years ago is now able to walk again thanks to a robotic exoskeleton. Jennifer Smyth, from Derry, defied doctors who said she would never walk again. A talented young member of the Shooting Starz gymnastics club in Derry, tragedy struck as she descended from a vault in the middle of a training session on September 24, 2013. The 20-year-old broke her neck on landing and was rushed to the Royal Victoria Hospital in Belfast, where she underwent surgery and was told she would never walk again. Now with the help of a ReWalk 6.0. bionic suit, which was handed over to her by Landmarc Solutions, Jennifer can now stand and walk. ReWalk is a wearable robotic exoskeleton that provides powered hip and knee motion to enable individuals with spinal cord injury to stand upright, walk and climb. The suit is controlled by a smart watch. 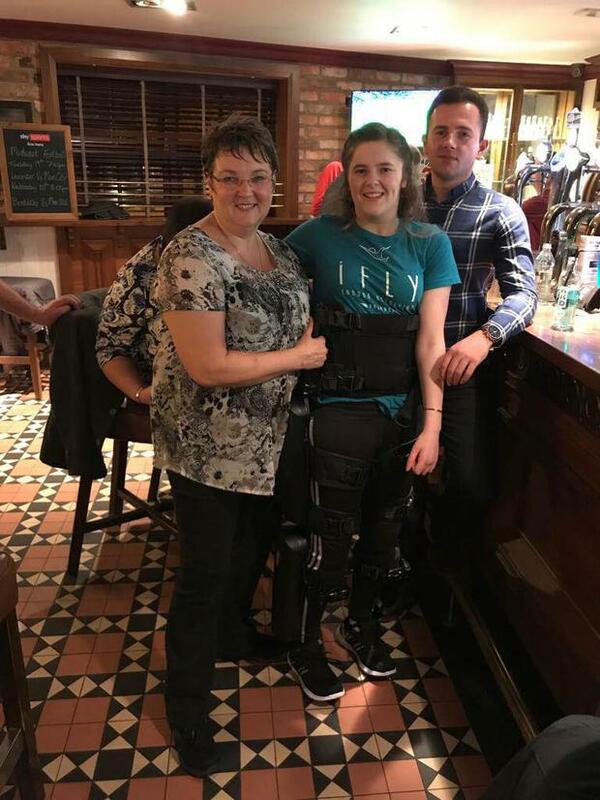 Jennifer said: "Basically my dad passed away Easter Sunday two years ago and the company he worked for, Landmarc Solutions organised a fundraiser which raised over €67,000 for my robotic exoskeleton. "I received the exoskeleton just three weeks before Christmas, it was honestly the best present ever. "It feels amazing to be eye level with everyone again, I'm even taller than my mum now so I'm towering over her!" At present, Jennifer only uses her ReWalk once a week with her mum, Pamela and her trainer. "My mum is being trained on how to use the exoskeleton at the moment and my friends have all seen photos of me walking. "Eventually I should be able to walk up stairs as it is the only device on the market that is able climb." Jennifer is currently in her second year at Birmingham University where she is studying Product Design. During her time at University she is able to continue with her physiotherapy to get her strength back.